The air blew through the holes of the plastic balls as players tossed them back and forth April 18, the first day of the California Baptist University’s annual Wiffle Ball tournament. Players warmed up on the front lawn to play the game, a variation of baseball played with small plastic balls and bats. Logan Richardson, junior kinesiology major, said he was anticipating the competition of the day. This year 11 teams signed up for the tournament. The teams acted as their own score keepers and organizers. Competing in groups of three teams, while two teams played each other, the other would keep score and oversee the game. Wiffle ball has been a part of CBU tradition for about a decade and has had many participants. Hannah Stadnick, senior communication studies major, also took the field. Students participated in the friendly competition and humourous joking. Tyler Cox, director of Recreation Programs, said he enjoys the light-hearted fun wiffle ball creates between friends and teammates. The two day tournament came to a close in the championship game, April 19. 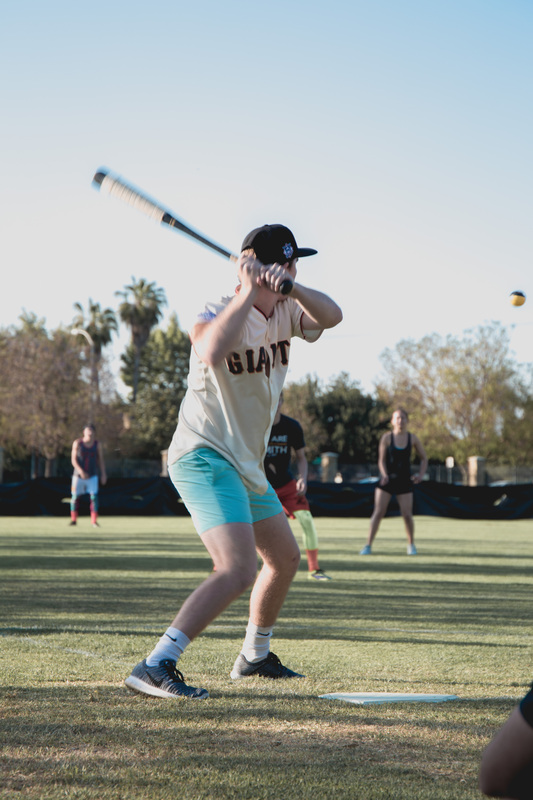 This year’s wiffle ball tournament served as a reminder that students can come together in t SoCal warmth amid approaching finals and projects to have fun and compete even when the sport consists of plastic balls and bats.